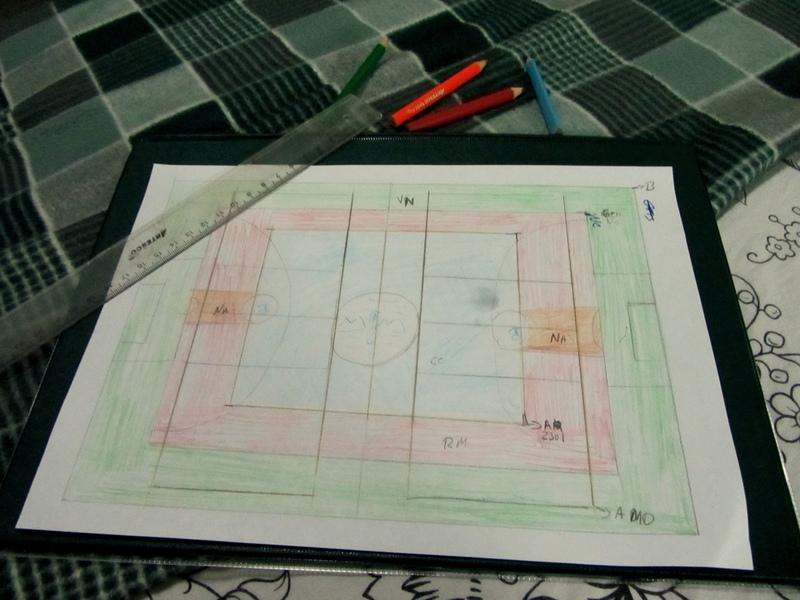 Mission: Redesign and paint an outdoor multi-sport court for an all-girls public high school of 600 students. In Peru, children undergo 11 years of formal education – six years in primary school and the remaining five in secondary school. Most remote villages in the country don’t offer secondary education so students are forced to walk several miles to schools in bigger towns in order to fulfill their scholastic requirements. 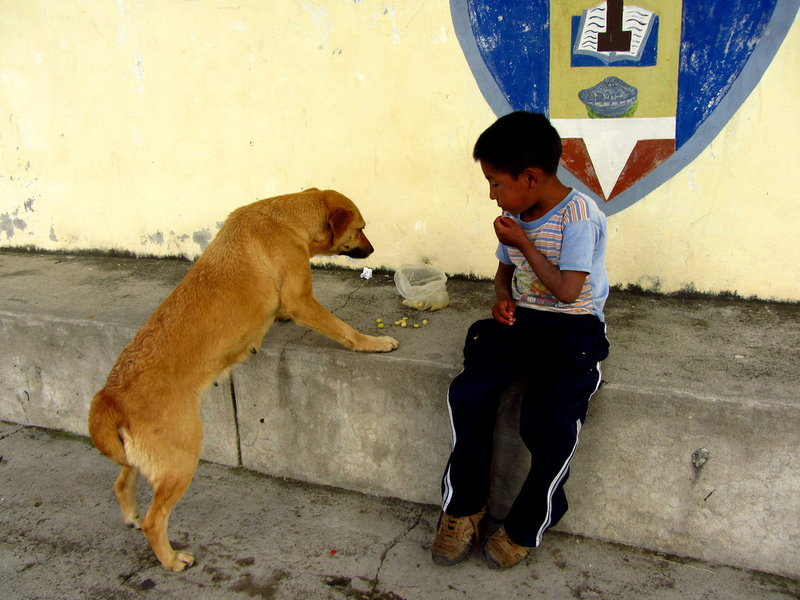 The town of Curahuasi has two public high schools that serve children from more than 30 surrounding villages. Some of these kids walk two or more hours to attend classes each day, one-way. The two schools are divided into one all-girls and one all-boys school. 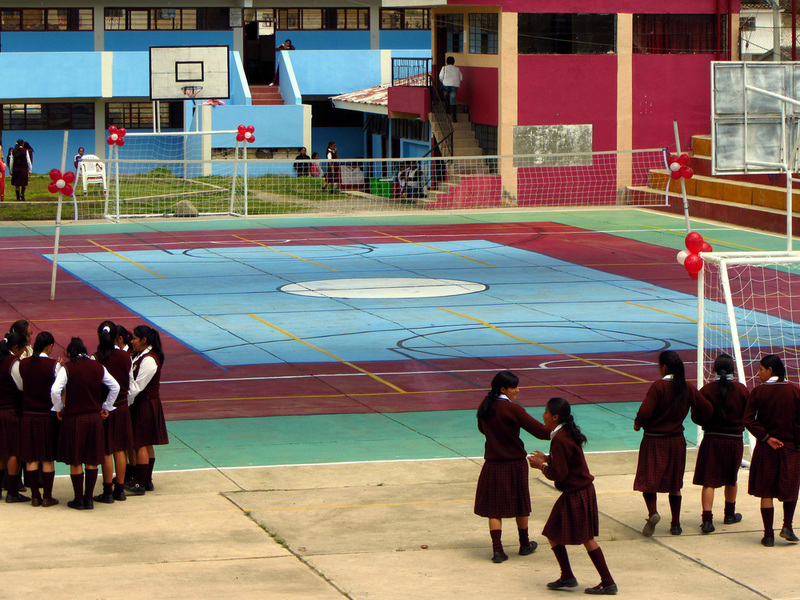 For this project, we found an opportunity to repair and enhance the girls’ outdoor multipurpose sports court. Prior to our arrival, the lines and borders were so sun-bleached and faded that it was deemed unusable for official matches and often bypassed for recreational use. 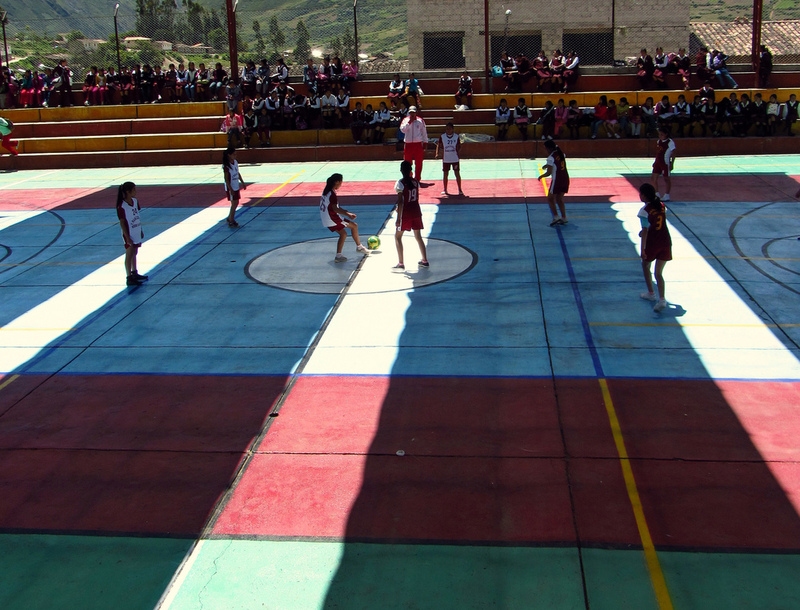 As is often the case in rural Peru, this school’s budget barely covers books and materials leaving its physical education department and facilities low on the priority list. Our team’s goal was to transform the outdoor surface into a more efficient use of court space. After five days and $1,350, we were able to completely redesign and revamp their faded concrete-slab-of-a-court into a modern, multipurpose sports pitch. 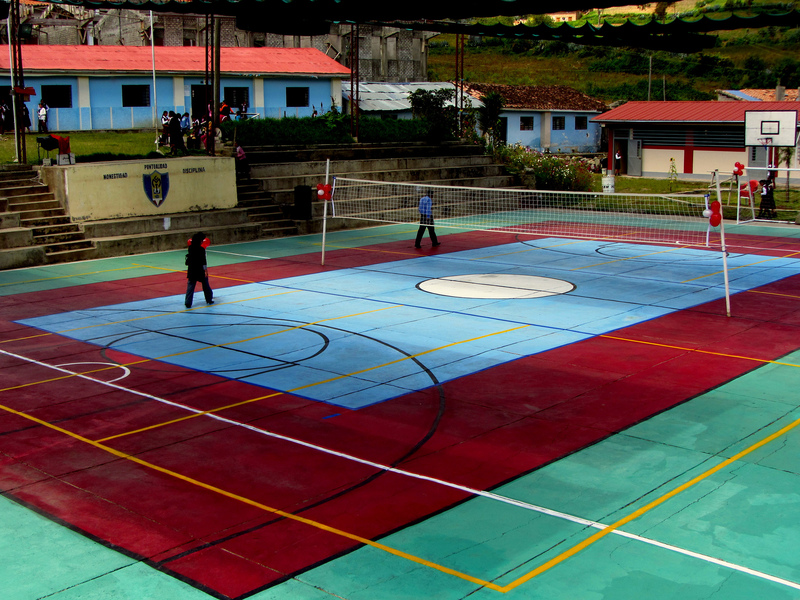 The court boasts a new soccer field, basketball court, and three volleyball courts all to official specifications. The kids couldn’t have been more excited.